The surrounded Villasur expedition is attacked by the Pawnee and their French allies. Image c. 1720. The Villasur expedition of 1720 was a Spanish military expedition intended to check the growing French presence on the Great Plains of central North America. Led by Lieutenant-General Pedro de Villasur, the expedition ended with a defeat at the hands of the Pawnee. In the first part of the 18th century, French explorers and fur traders began to enter the plains west of the Missouri River. In 1714, Étienne de Veniard, Sieur de Bourgmont became the first European to reach the Platte River. Having claimed "ownership" of the Great Plains since the Coronado expedition, Spain was wary of this expansion of French influence. In 1718, the War of the Quadruple Alliance broke out between France and Spain; at this time of heightened tension, the governor of the Spanish colony of Nuevo México sent Villasur to capture French traders. By doing so, Spanish authorities could gather intelligence about French ambitions in the region. Villasur left Santa Fe on June 16, 1720, leading an expedition that included about 40 soldiers, 60-70 Pueblo scouts, and approximately 12 Apache guides. The expedition also included Jose Naranjo as scout, who was a war captain for the Indian auxiliaries and an explorer who had visited the Platte River region several times in the past; a priest, and a Spanish trader. The expedition made its way northeast through present-day Colorado, Kansas and Nebraska. In August, the expedition made contact with Pawnees and Otoes along the Platte and Loup rivers. Using a captured Pawnee slave, Francisco Sistaca, the Spanish made several attempts to negotiate with Indians in the area. On August 13, Sistaca disappeared. Villasur, nervous about the possibility of attack, camped that night just south of the Loup/Platte confluence, near what is now Columbus. 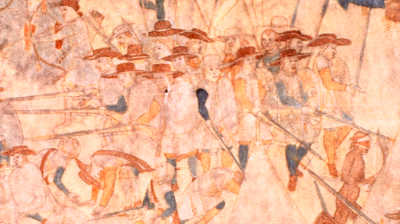 The following morning (August 14), a large Pawnee force (possibly aided by French traders) attacked the Spanish camp. Villasur, 34 of his soldiers, and 11 Pueblo scouts were killed after a brief battle. The remaining survivors returned to Santa Fe on September 6. 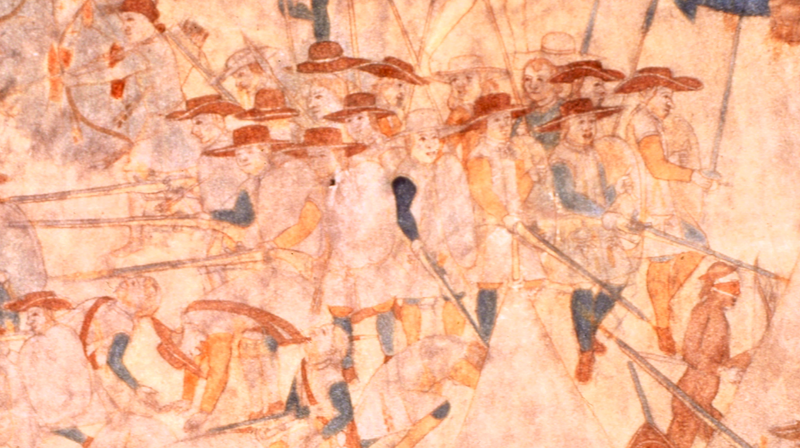 The expedition, which had journeyed farther to the north and east than any other Spanish military expedition, marked the end of Spanish influence on the central Great Plains.